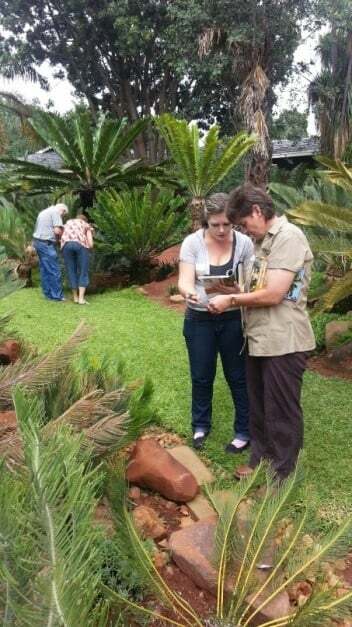 Training by Cornia Hugo on cycad Identification in South Africa. 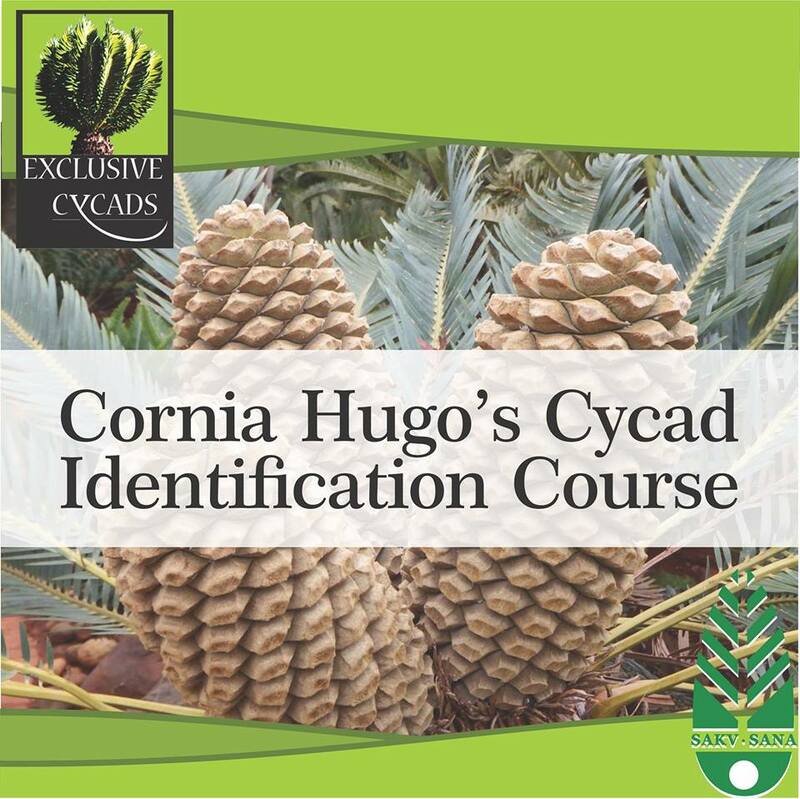 Overview: The purpose of this course is to equip cycad lovers and landscapers with a practical, easy-to-use guide for the identification of indigenous cycad species (Encephalartos species). Cost: The course is R2000 which includes the book! Light lunch also provided. Location: Exclusive Cycads is situated on Plot 238, Corner of Veda & Phyllis Ave, Pretoria. Bookings / Inquiries: Cornia Hugo on 082 944 2341 or email her at corniahugo@gmail.com. Author: Retha Meiring. Article was in Encephalartos magazine. We were greeted with some refreshments by Cornia and Eliza at the lapa of the beautiful venue of Exclusive Cycads in Montana Pretoria. The training we attended were practical training for the identification of indigenous Encephalartos species. 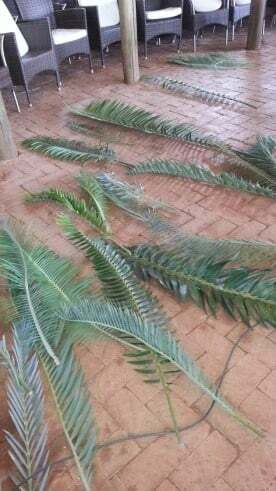 Referencing to Cornia Hugo’s book: “Identification of indigenous cycads of South Africa”, we embarked on a journey of discovery of the differences and uniqueness of the South African Encephalartos species for the layman. This is not a scientific taxonomic training course as we were delighted to learn. 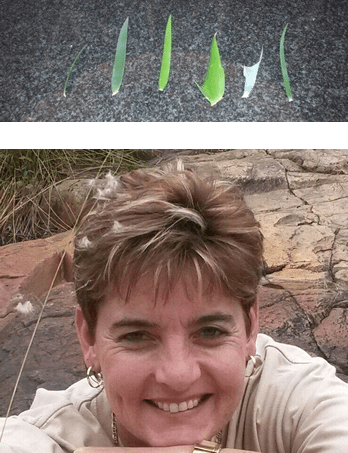 Cornia Hugo is well known amongst cycad enthusiasts, as a capable and strict law enforcement officer of Nature Conservation, with many years of experience. The majority of us are “new” when it comes to the different species of cycads, and had very little knowledge of identifying them. 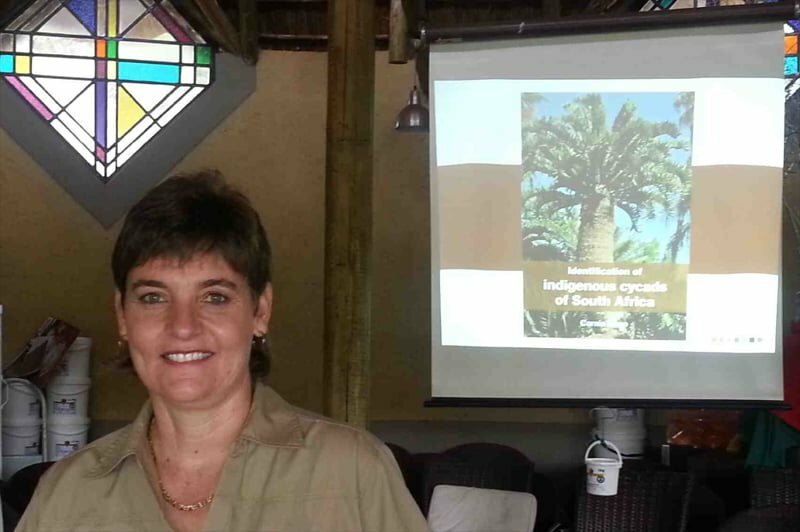 The course started off (Pic 1: Identification of indigenous cycads of South Africa by Cornia Hugo) with getting a better understanding of the terminology used. 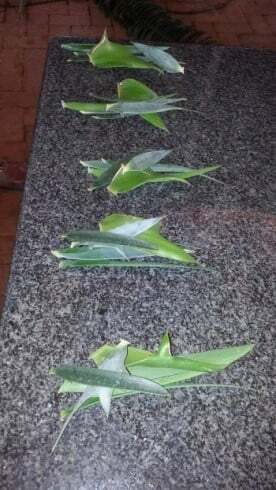 This course was done in Afrikaans for the first time. It took some creative words to translate the terminology. Everyone was encouraged to use their own way of remembering a specific term. Easy practical explanations were used to help us understand what all the most used terms meant. What I found very helpful was to touch, feel, smell and see examples while each of these terms were explained. There are plenty examples and photos in her book that we regularly referred to. 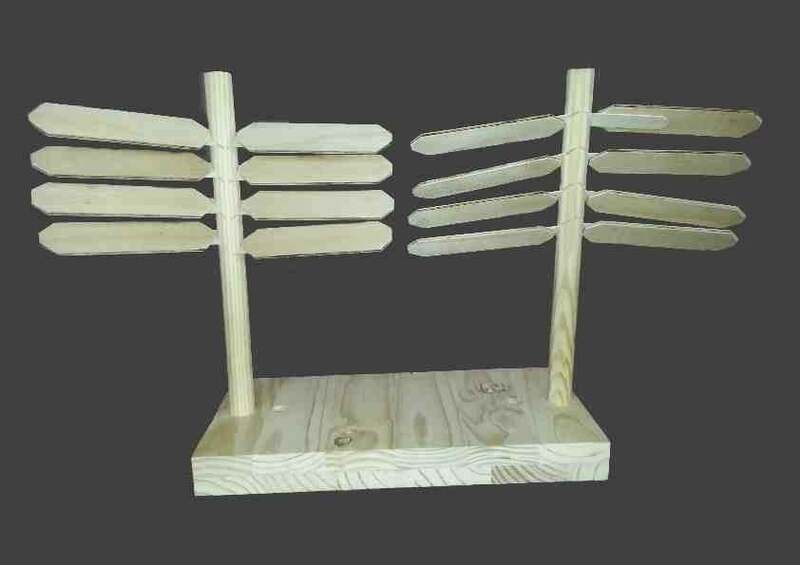 A model (Pic 2: Model explaining terms) explaining the difference between the terms Succubously (dakpansgewys) and Incubously. Other terms included entire, dentate, rachis and many more. Thereafter the main characteristic used for identification were shown and discussed in detail: petioles, cataphylls, leaflet margin, orientation attachment, shapes and colours. The first step to the identification is to place the leaflet of the plant based on their shape, colour, width, margin and flexibility into one of the 6 Groups. 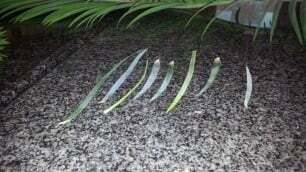 After the leaflet has been categorized in a group, the key can then be used to identify the plant. We learnt how to use the keys by excluding a plant or including it, based on the specific characteristics. Day one was spent on Group 1 -5. We were presented with plenty of leaf examples (Pic 3, 4 and 5 Leaf examples) to touch and feel and understand the differences. Each group was done individually, first the theoretical portion, where the individual characteristics were explained and demonstrated and then the second portion where we went out to the garden to evaluate what we had learned and to apply it practically to the test. 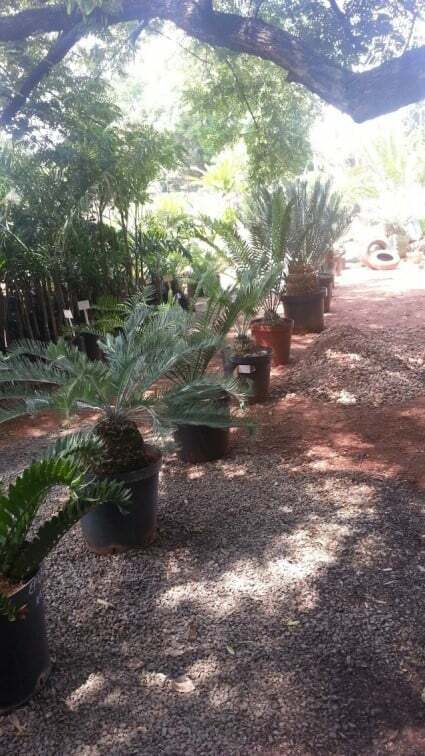 The practical portion (pic 6 + 7) exposed us to various samples including male and female plants – some with cones (bonus) as well as mature and potted plants. Every now and then a hybrid was thrown in the mix, to test our skills and to show the difference between a hybrid and pure plant. Plenty of time and guidance were provided to each individual to test and better their knowledge and skills in the garden. Our individual specific needs to understand were addressed accordingly. Day two consisted of recapping the things we learned in day one. Then we moved on to Group 6 – the green-broader-leaves. We were allowed adequate time to familiarize ourselves with the differences and unique characteristics, both in theory as well as practical outside. After a morning of checking, referencing, making obvious mistakes, and some not so obvious, we are ready to take the test. The final test – first we only received leaflets to place in the different groups (Pic 9). Some of them were so unique you could already identify the plants, others were not so easy to recognize. For the second part we were presented with 24 different plants in pots (Pic 10) and one hour to identify them (with the book in hand of course). Result – we passed! After 2 days of extensive looking, feeling, turning pages in the book, questions, and frowning – big smiles. We have learned a lot! Mission accomplished! I fully recommend this course for any layman who wants to learn how to identify the 38 South African species and to know when it is not one of these, or suspect a hybrid.